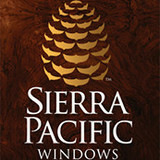 Window Design Group is the premier window replacement & plantation shutter company in Southern California. We specialize in replacement windows & window shutters along with a wide variety of window coverings as well. We put an emphasis on energy saving products, such as Windows, Shutters and Energy efficient blinds & shades. Customers will benefit from our extremely reliable service, detailed work agreements, and professional friendly staff. Whether you’re building a new Thousand Oaks home, remodeling an old one or just replacing a few windows that are past their prime, your window dealer in Thousand Oaks, CA will help you pick the right windows for your needs, home style and budget. Windows come in so many sizes and types that expert advice and direction is invaluable in helping you make the best decision. These pros can also help you with custom window designs that complement your space better than something ready-made. Lastly, if you are interested in doors with windows, these experts are also knowledgeable about sliding doors, French doors and other paned portals. Find a window dealer on Houzz. 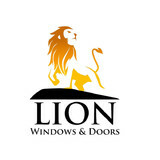 Narrow your search in the Professionals section of the website to Thousand Oaks, CA window dealers. You can also look through Thousand Oaks, CA photos to find examples of windows that you like, then contact the window professional who worked on them.